Look up this question on the internet and you won’t find an answer – until now. The only specific canary weights I found were for the wild canary, which Wikipedia tells us can vary from 8.4 to 24.3 grammes with an average of 15 grammes. If you ask how much does a pet canary weigh, the answers will vary between 10 and 29 grammes ‘depending on the breed’, which is never specified. I suppose that you could guess that the Lizard is somewhere in the middle, perhaps 20 grammes or so. That may be good enough for some but I wanted to be sure, so I decided to find out for myself. The photo at the head of this article might suggest that I’ve trained my birds to sit quietly on the weighing scales. I wish that was true, but I will let you into a secret: the photo is a fake (1). The difference was the weight of the canary. That tells you more than anything you’ll find on the internet, but it is still limited to the weight of a single specimen which might be the biggest Lizard in my bird house, the smallest, or somewhere in between. The obvious answer is to weigh several examples and then calculate the average. Better still, I decided to weigh a group of juveniles and then repeat the experiment after the moult, to see how much young Lizards grow. Last year I weighed 10 juvenile Lizards and the results were surprisingly varied: the heaviest was a buxom non cap silver hen weighing 33 grammes, the lightest two runts at 20 grammes (2); a variation of -20% and +32% from the mean. The average weight was 24.7 grammes, but that suggests a level of accuracy that was way beyond the scope of my experiment. I used kitchen scales rather than calibrated laboratory scales, so even if I round that figure to 25 grammes, it still needs to be treated with caution. After the moult I repeated the experiment and found that most of the birds gained three grammes. That is rather less than I had expected because Lizards tend to look significantly larger after the moult. This suggests that most of the gain in size is due to the bulking effect of enlarged feathering, not fat or muscle mass. It was also noticeable that the gap between the two extremes had reduced: the non cap silver hen had gained 3 grammes, but one of the runts gained a whopping 8 grammes. Unfortunately I don’t have a photograph her, but here is the non cap which gives you an idea of the two extremes. Let’s go back to my original question: how much does a Lizard canary weigh? The answer, subject to the limitations of this particular experiment is an average of 25 grammes as a juvenile, 28 grammes (or one ounce in imperial units) as a first year adult (3). Your birds might be different. You might wonder if it was worth all the effort. I can only remember one occasion when I was asked how much a Lizard canary weighs, but the person who asked me was a vet. That might give you a clue why it is so important: she wanted to calculate the correct dosage for treating canaries because many medicines are administered on the basis of mgs per kg of body weight. 28 grammes adds up when you need to treat 10, 50 or a 100 birds. Knowing the weight of your Lizard canaries gives you a better chance of administering the right dose for maximum effectiveness. Get it wrong and you could be condemning your birds to prolonged ill health or even death. Wouldn’t it be a good idea to check the weight of your own birds? Another reminder that you shouldn’t believe everything you see on the internet. At least I tell you. For the benefit of non-British readers, a ‘runt’ is a particularly small and weak specimen, usually the result of neglect by the mother, a physical weakness, or both. These figures apply only to 10 of my birds in 2017. Not all studs, or all years, will be the same. 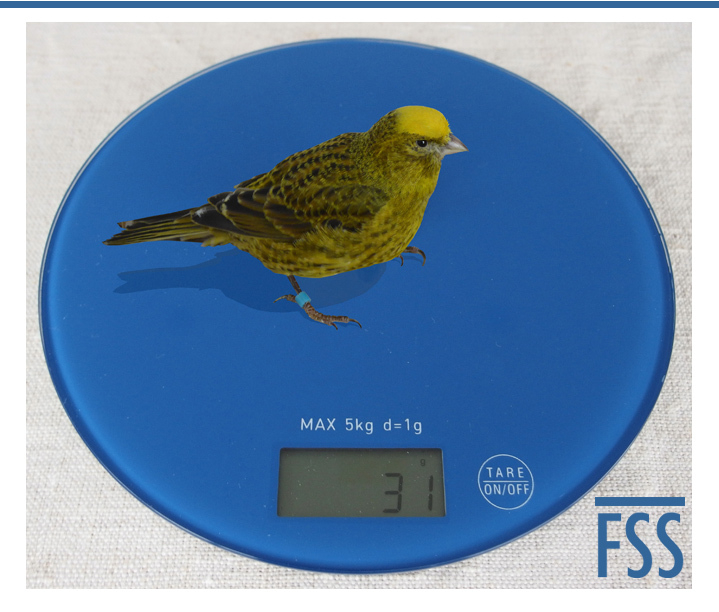 I understand the need for the correct weight of birds with regard to medical treatment but I would have thought with something so small as a canary a jewelers scales would be more effective and accurate. Another suggestion I would make is to put the scales in a photo box with which I believe your birds are quite familiar with a perch attached maybe with bluetak. another good interesting article Huw.